Decorate the corners of your bedroom space with this chic chest from the Edina collection by Homelegance. A perfect blend of style and functionality, the chest is made up of simple and clear lines for a refined look. 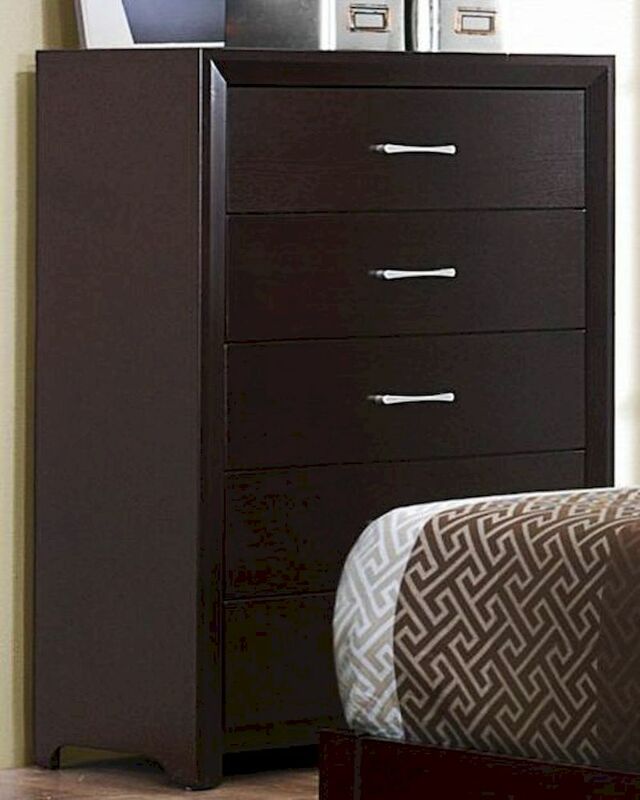 The dark brown chest is equipped with five large drawers for storing books, clothes, linen and other essentials. Well suited for modern and contemporary homes, the espresso hinted cherry finished chest can also be used as a decorative base for holding photo frames, artifacts and flower vases.